We’re still in the slow, painful process of updating old content and porting it over to the new site. I’m guessing this will continue for the next couple of months, so if you are looking for your favorite review and you can’t seem to find the darn thing, it’s most likely not here yet. Be patient, they’re coming…well, most of them are. I will also be re-posting some of the film-related content from the old “Nonsensical Ramblings” section (RIP) over the next week or so. Not exactly new content, but content none-the-less. In other news, I’m happy to announce that the first new review here in over two years(!?!) will be coming in the next week or so. Here’s a quick peek at the subject of our next review, Donald G. Jackson’s Roller Gator. 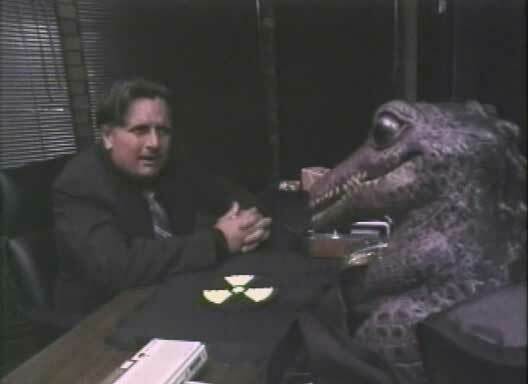 Yes, that is Joe Estevez, and yes he is talking to an alligator puppet. 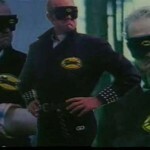 BAD-MovieRealm.com, remember?